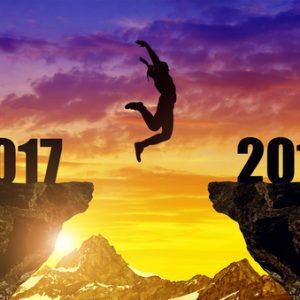 Endings and Beginnings – 3 Steps to a Powerful 2018. “Every day is a new beginning”. I’ve had this philosophy most of my life and it’s served me well to get through some tough times. And then there were times when I thought a period of my life would never end, no matter how many times I said my mantra. In fact, this past year has been one of those years of never ending repeating events. Like I was stuck in the same day, ala “Groundhog Day”, I just couldn’t get myself unstuck. I tried all of my tools, believe me…. EVERY ONE of them. I would make sure that I did the correct meditation in the morning before I got out of bed. Then I took my super effective calming supplements to kick start my serotonin uptake. I would put on my super calm mantra music. Did my affirmations in front of the mirror. Made sure my diet was on track – no stimulants please! Ramped up my workout regime. Checked in with my astrologer and Reiki master. Re-engaged with my therapist (who hasn’t seen me in quite a while). What was going on? Why was I living in this cloud of dis – ease, stressed, anxious and fearful. As I reflected on my year, I recognized an old pattern had weaved its way through all of my decisions. It was the foundation on which I placed these events, made my decisions and ultimately caused my pain. I figured out that I’m not just a giver, but an “obliger”. And when you are an “obliger”, you place conditions on your purpose. Simply stated, I did things because I felt I had to do them in order to be loved. And when you have this condition you can never live your life for you… You live it for others. YUP! I did it. And in a big way. I realized that I GAVE AWAY MY POWER. I broke integrity with myself. I lost focus. And it’s OK, because this is how we learn and grow. By reflecting, letting go of what doesn’t work and then course correcting, we get what we want. This is the journey we are on. So, as we start a new year, I’ve decided to let go of this old patterning now. I end this year with great learning. Thank you. This was my cautionary tale for you. 1. Reflect on the things that were challenging for you this year. Ask yourself, why were they challenging and how did you feel? Then give yourself permission to let them go. 2. Ask yourself what do you want in 2018? How do you want to feel when you do these things? 3. What do you need to make these things happen? Are you ready to make the necessary changes? When you live your life consciously, with purpose, in your integrity, then you are guaranteed the outcome you desire. It’s that simple.